All Iggy Pop items listed below are authentic and very limited. We do not carry multiple items. All prices and availability are subject to change. All prices include shipping and handling for all USA customers. All other destinations will require actual shipping cost to complete transaction. Have a question? Ask us before purchasing the item. Thank You. 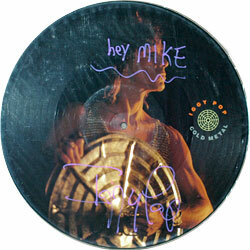 Description: Limited Edition UK 12" Picture Disc. Signed in purple paint pen. 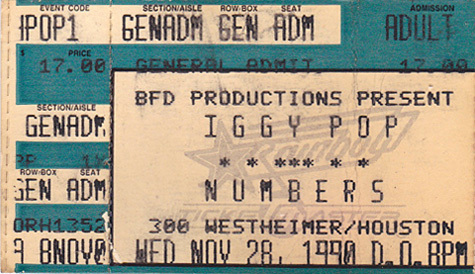 Note: Item signed on Iggy's 1990 US tour backstage at the Arcadia Theater in Dallas Texas. 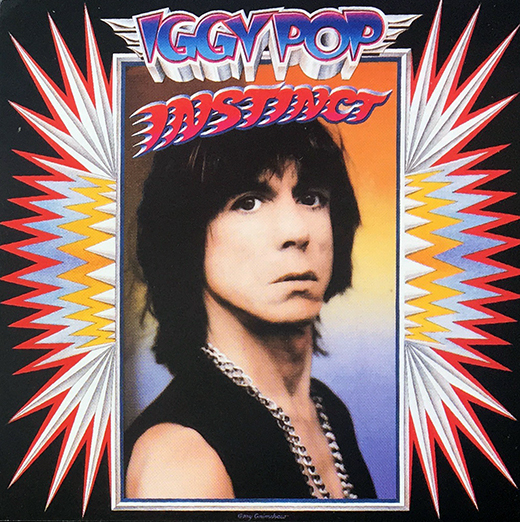 Description: Iggy Pop Instinct LP Promo Sticker. Size 3x3 Square. Item in mint condition. 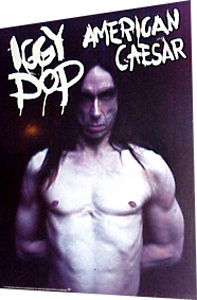 Description: Iggy Pop American Caesar Promo Poster. Size 22x28. Item in mint condition. 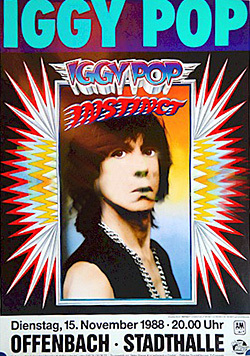 Description: Iggy Pop 1988 Offenbach Germany Original Concert Poster. Size 24x34. Item in mint condition.